This will be the flagship scheme for skill training of youth to be implemented by the new Ministry of Skill Development and Entrepreneurship through the National Skill Development Corporation(NSDC). The scheme will cover 24 lakh persons. Skill training would be done based on the National Skill Qualification Framework (NSQF) and industry led standards. Under the scheme, a monetary reward is given to trainees on assessment and certification by third party assessment bodies. The average monetary reward would be around Rs.8000 per trainee. Out of the total outlay of Rs.1120 crore to be spent on skill training of 14 lakh youth, special emphasis has been given to recognition of prior learning for which an amount of Rs.220 crore has been provided. Awareness building and mobilization efforts would be focused for attention, for which Rs.67 crore has been provided. Mobilization would be done through skill melas organized at the local level with participation of the State Governments, Municipal Bodies, Pachayati Rai Institutions and community based organizations. The focus under the scheme is also on mentors-hip support and placement facilitation for which an outlay of Rs.67 crore has been provided. An allocation of Rs.150 crores has been made for training of youth from the North East region. Highlights of skill training would be that it would be done on the basis of demand assessed on the basis of recent skill gap studies conducted by the NSDC for the period 2013-17. For assessment of demand of Central Ministries/Departments/State Governments, industry and business would be consulted. A demand aggregator platform would be launched for the purpose very soon. The target for skilling would be aligned to demand from other flagship programmes launched in recent times such as Make in India, Digital India, National Solar Mission and Swachh Bharat Abhiyan. Skill training under the new scheme will primarily be focused on a first time entrants to the labour market and primarily target Class 10 and Class 12 drop outs. 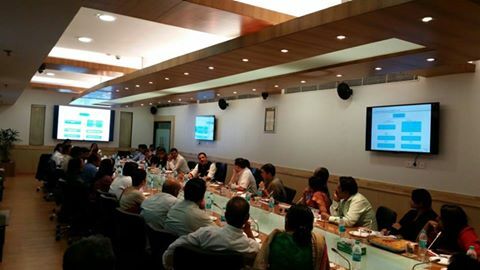 The scheme would be implemented through NSDC training partners. Currently NSDC has 187 training partners that have over 2300 centres. PMKVY would be on improved curricula, better pedagogy and better trained instructors. Training would include soft skills, personal grooming, behavioral change for cleanliness, good work ethics. 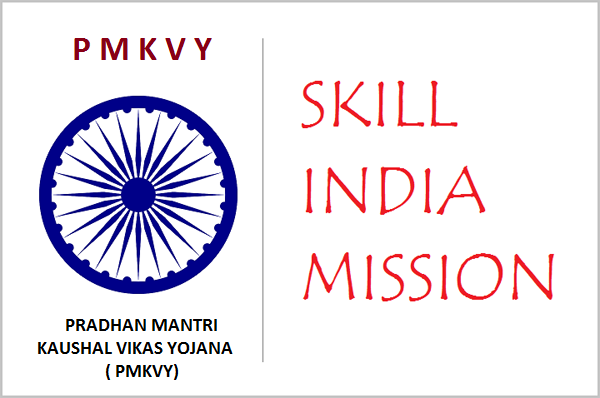 Sector Skill Councils and the State Governments would closely monitor skill training that will happen under PMKVY. Skill Development Management System (SDMS) would be put in place to verify and record details of all training centres a certain quality of training locations and courses. Biometric system and video recording of the training process would be put in place where feasible. All persons undergoing training would be required to give feed back at the time of assessment and this would become the key element of the evaluation framework to assess the effectiveness of the PMKVY scheme. A robust grievance redressal system would be put in place to address grievances relating to implementation of the scheme. An online citizen portal would be put in place to disseminate information about the scheme. #Why PM’s ‘Skill India Mission’ Is a need of time ? We are an NGO, and would like to take a start with PMKVY. Please help us to enrol as a trainee. I have open VTP from 3years and ant ot start pmkvy but how not understanding please guide me mob. 9816775631.